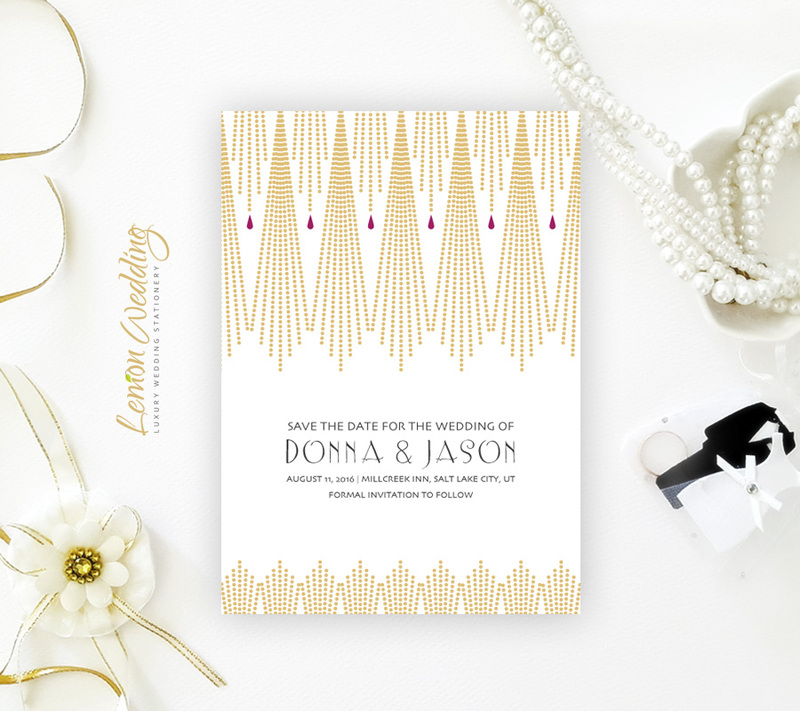 There is no better way to announce your upcoming wedding than with our Gatsby themed Save the Dates. The cards are decorated with grand art deco inspired artwork that is complimented with a matching font. These cards are printed on shimmering white card stock for a fancy finish.